Earlier in the week, Food & Wine released their list of the best new chefs in America - as voted by readers like you! With ten finalists from each of the ten regions, these 100 new chefs have won over our hearts (and stomachs!) with their entrepreneurial spirit and fresh take on food. Unlike the James Beard Foundation Award Winners, these chefs are nominated and selected based on reader (and eater) votes. 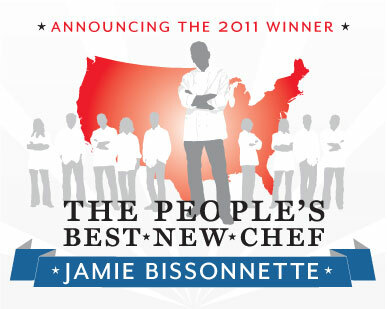 Jamie Bissonnette of Coppa in Boston, MA accumulated the greatest number of votes of any nominee, earning him the title of People's Best New Chef - 2011. 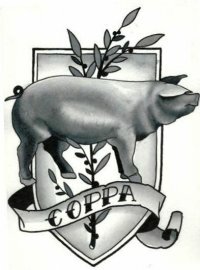 In addition to an unbelievable menu (featuring everything from Spaghetti alla Carbonara to blood sausage pepperoni pizza), Bissonnette won hearts with his pledge to support local sources and sustainably produced foods - is there really anything tastier than knowing where your food came from? Congratulations, Jamie! Each of these regional winners (and the other 90 finalists) have been nominated and selected for reasons as different as their cooking styles. While Chef Bissonnette was selected for his innovative and locally focused menu, Jason Franey of Canlis was selected and voted for his ability to bring an avant garde touch to Seattle's best-established luxury restaurant and Lee Richardson of Ashley's at the Capital Hotel channels the nostalgia for the Southern food of his childhood into modern crowd-pleasing dishes. Mid-Atlantic Kyle Bailey of Birch & Barley in Washington D.C.